1. She was born on March 3, 1933 in Southampton, New York. 2. She became a princess upon her second marriage to Polish prince Stanisław Albrecht Radziwiłł. 3. In 2008, she received the Legion d'honneur (an honour bestowed upon French nationals for 'eminent merit or service in military or civil life') from the French government. 4. While she attended Sarah Lawrence College, she was classmates with Barbara Walters. 5. 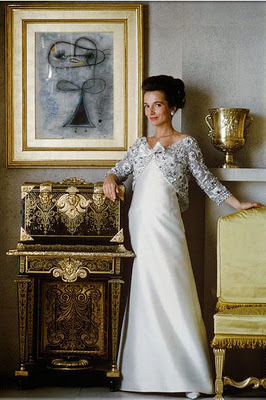 Her only son Anthony Radziwill (Prince Antoni Stanislaw Albrecht Radziwill), passed away from cancer in August 1999, a little less than one month after the death of her nephew, John F. Kennedy Jr.
Like her sister, Lee is such a fashion icon. She shares the same birthday with my daughter - I did not know that! 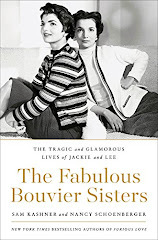 Have you read her daughter-in-law's autobiography? I've been wanting to read it - sad how she lost her husband so young.